In my last Apple Maps column I discussed why Apple would have delivered a suboptimal maps experience. This analysis was really a short term view of why they would do this, and the answer was Wall Street. Net-net, Apple would have felt the Wall Street wrath more than they are already feeling post-iPhone 5 launch had they delayed their launch for a quality product. 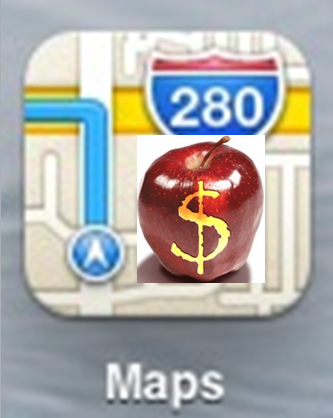 Now, I’d like to look at the long term value of “maps” and why this could be so important to Apple. The answer is simple, it’s to monetize a huge portion of the internet they aren’t getting a piece of today. For most general consumers, “maps”, if they are even aware of the smartphone functionality, means getting help from getting from point A to point B. My son’s pee wee football coach even places a Google maps link to each away game that provides directions on the smartphone. Even if someone isn’t aware that phone maps exist, all they need to do is click on that link and they will get directions to the game. For more advanced consumers, “maps” help them find brands or categories of products near them to get phone numbers or driving directions. Want to see how late that Jiffy Lube near your house is open on a Sunday? Search for it and it should have that info of it’s in the database. Looking for some coffee and you don’t care about the brand? Search for “coffee” inside of maps and be directed to the closest place. With an Android device and Google Now, users can easily check in via Google+ once they arrive at a destination. If you’re searching on Yelp or checking in on FourSquare on any phone, you may even me able to find discounts on your visit. You see, “maps” are more than about just mapping, they are a portal to the future of local advertising, commerce and payments. 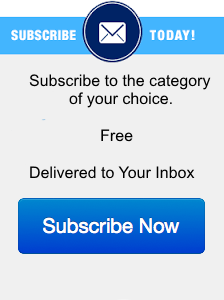 You need to teleport yourself five years into the future to get the best idea of just how valuable this is. This is about big money, money that dwarfs what Apple lost in market cap over the past few weeks. Let’s peel back the onion a bit. Advertising as a business is larger than movies, games and music combined. Most of those ad dollars get spent locally by the billions of small businesses across the globe and the large businesses trying to reach local consumers. Getting a cut of this would be huge and is no surprise that Google, Groupon, Yelp and Facebook are all going after this full force. Today and even more in the future, every place we go will be tracked and most consumers allow it. In fact, in the future, telcos will provide subsidies to consumers who let them be tracked and be anonymously “checked-in”. In-context deals will be provided to these users that actually provide value, not the horrible deals most users get today from Groupon and Google. The problem with Groupon offers is that they don’t have good enough profiling or enough deals in inventory to tee up enough relevant deals. The same thing for Google and even Facebook. Knowing where people are and what they are doing is crucial to building these profiles and for delivering the ultimate in ads, the “pick-off”. The “pick-off” is when an advertiser knows you are going somewhere and will provide you an ad to go somewhere else. Let’s say you search for “pizza” and get directed to “Joe’s Pizza” on 5th and Lamar. “Luigi’s Pizza” is on 7th and Lamar, and through their real-time ad network knows this and sends you an immediate $10 off coupon message if you spend $30, and a window seat for the best people watching. You accept, and you, Luigi and the ad network benefits. OK, so this may be a bit exaggerated but you get the idea. So who could Apple impact with this? Google, Groupon, Yelp and Facebook. That’s big. This isn’t the only opportunity. How about commerce and payments? Now that Apple and their network knows you have arrived at Luigi’s, the coupon will show up in your Passbook and you are ready to roll. You show up at the front door, show the coupon, and you and your friends are seated at the best seat in the house, right in the front window. The party tweets about what good seats they have and check in on Apple’s Maps. What about when it’s time to pay? Apple, because they are tied into Luigi’s, has a deal that everyone who uses “Passbook Wallet” gets 1% cash back. Apple has a frequent flyer kind of program where they get freebies toward content and devices. So you are motivated to pay with your “Passbook Wallet”. Upon checkout, the waiter scans your phone’s bar code with their smartphone camera, similar to a Starbucks checkout, and you are off to the next big party. What companies does this disrupt? It effects a ton of people including Isis, Google (Wallet), VISA, Mastercard, and American Express. Can you even imagine how much profit this could be for Apple? As I outlined in my previous analysis, Apple delivered a suboptimal mapping experience to limit the punishment they would have received from Wall Street had they delayed iPhone 5 or iOS 6. Long term, though, the stakes are outrageously high and involve Apple monetizing an enormous profit pool, local advertising and payments. Apple need maps, and evolved maps, to make that a reality and they are well on their way to do this.